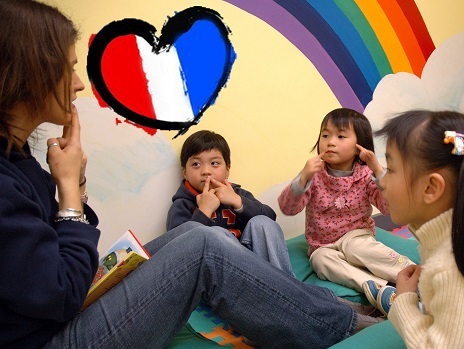 WHAT ARE THE BENEFITS OF YOUR CHILD LEARNING FRENCH? As scientists unlock more and more secrets of the brain, they are learning that speaking more than one language may have cognitive benefits that extend from childhood into old age. There are plenty of reasons to start your child on the path to bilingualism or plurilingualism from an early age, and French is an excellent language to start with. French is the most frequently taught second language all over Europe. Proficiency in French will enable your child to stand out and significantly improve their chances of being accepted to a renowned school, university or business school, at home or abroad. Students with a good level of French are eligible for French government scholarships to enrol in postgraduate courses in France - ranked among the top higher education institutions in the world, and qualify for internationally recognised French degrees. French and English are the only two languages appearing on all five continents. If your child can speak both, they will have a greater advantage on the international job market and to compete effectively in the global economy of the future. As surprising as it may appear, according to a recent study, by 2050 the most-spoken language in the world won’t be English, nor will it be Mandarin; it will be French. Not because the French population is booming but because it is widely spoken in sub-Saharan Africa, one of the fastest growing regions of the world. That may well be the reason why French is nowadays, after English, the most popular second language in Mainland China. French is a good base and helps in learning other European languages. Get your child start learning French by joining our free trial lessons and workshop!